Is a swimming pool right for your family? You are here: Home / DIY / Is a swimming pool right for your family? Imagine sitting in your own backyard enjoying the beautiful sunny day with your favorite iced beverage. As you close your eyes, you can hear the gently cascading water from your brand-new swimming pool. Unfortunately, the reality of owning a swimming pool doesn’t always live up to the dream. 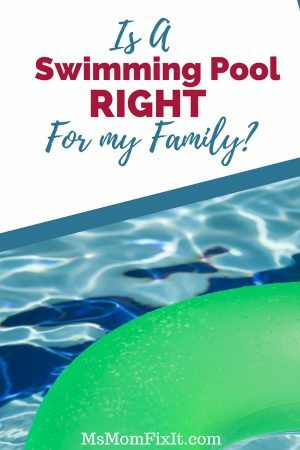 Let’s talk about the realities of above-ground swimming pool ownership so you can make the best decision. When you imagine that beautiful pool in your backyard, it feels right. Pools are luxurious, provide hours of family fun, and are social gathering magnets. Swimming pools are akin to having a home gym. You have the benefits of better health and convenient exercise without the cost of a monthly gym membership. Think back to your childhood. I guarantee that you have more than a few happy memories involving a swimming pool. Now, imagine the memories you will create with your own children if you have a pool in your own yard! An inground pool remains a costly investment, will require more maintenance, and can actually deter future home sales. So, let’s focus on affordable above-ground pool options for families seeking a pool. You will find small pools starting around $100 and sometimes even less. Heck yeah! I’d easily spend $100 to have a cool, relaxing retreat in my own backyard. Reality check- that small $100 pool is NOT going to be your spa of relaxation or even your daily family fun zone. The least expensive above ground pools are the ring type pools. Each brand has its own name for this- easy set, quick set, fast set, etc. You simply put air into the top ring, make sure the pool bottom is flat, and fill with water. As the water rises, so will the ring. Not so much. Unless you are a surveyor, you will likely not notice a slight slope in your landscaping. These types of pools tend to lean as there is nothing but water inside holding it up. Gravity will pull that water in the direction of your slope even if it’s an inch. Now you have a leaning tower of water. Hmm. The water level in these pools should be right at or below the upper ring. This means if you are purchasing a 30 inch-deep pool. You are likely only getting a true water depth of 24 inches or thereabouts. This may not sound like a deal breaker yet. Just keep in mind that you won’t really be able to swim in the pool, but rather you would maybe splash around to cool off with the kids. Shucks, your pool is no longer a fitness benefit. All pools need regular maintenance. So, your thinking about getting the smallest pool possible since it fits your budget and you’re probably thinking you won’t need to purchase or learn about pool chemicals. After all, it is just a blow-up pool, right? WRONG! Algae grow fast! 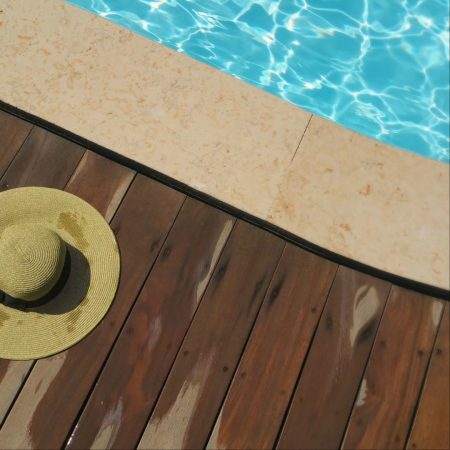 Without the proper chemicals, your pool will be a green mess within a week or two. You will need to maintain your pH level, chlorine level, and likely have to purchase other chemicals to prevent algae. The pumps that come with the smaller pools simply don’t have the ability to cycle the water efficiently. Think about the intended purpose of your new swimming pool. Are you buying this for the kids as a temporary splash pad or a place for adults to get a full workout? For young children, you may want to go with something small. Especially if your children are non-swimmers, it’s always a benefit for them to be able to stand up and have their head above the water. Safety first! If you are seriously looking for a workout, you will likely want to purchase a pool with some depth. A 6 foot-tall man surely would still be uncomfortable crouching in 3 feet of water. As you increase the depth of your pool options, you will find that the diameter also increases. While there is some variation with options, a 30 inch-deep pool is generally going to be 8 or 10 feet wide. In contrast, a 48” pool will have a diameter of 15 to 20 feet. First and foremost, you will need a flat surface of land for your pool and make sure that you have taken into account the size of your pool. A simple way to do this is to pound a stake into the ground where you think the center of your pool will be. 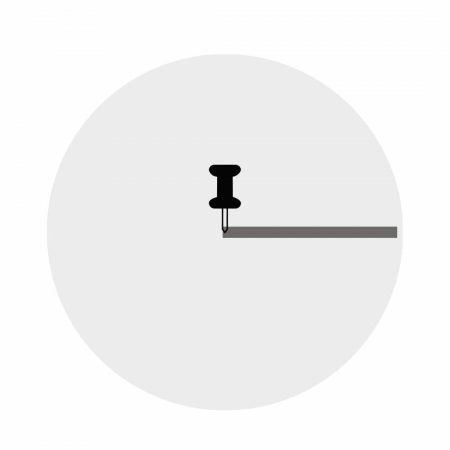 Attach a nail or screw to the top of the stake. Then, cut a piece of string or rope to half the pools diameter and attach it to the string. Pull the string around and walk the entire circumference of the area to make sure you have enough surface for your pool. Fact 1: The grass under your pool will not survive. Fact 2: The grass closest to your pool will likely not survive. You will also need to have an electrical outlet for your pool pump. Make sure that you have an outdoor outlet relatively close to the installation location of the pool. Pools need 5 to 6 hours of sunlight just like plants. This is beneficial in maintaining your water temperature. I learned this the hard way! I highly recommend looking into the steel frame pools rather than the top ring pools discussed earlier. The steel frames are extremely sturdy (and will keep your pool upright). I was able to assemble our pool in one afternoon by myself. There is a trick to putting together a steel frame pool. You will first build the top ring by connecting together the horizontal steel bars. However, do not insert your pins until you have wedged the final steel bar into place. Many above ground pools come in a package deal which can be quite economical. I certainly recommend packages for a new swimming pool owner. It can get quite costly to buy everything separately. Keep in mind though that you may need to upgrade certain items in the future. The pool skimmer that came with our new pool broke within the first week! Once you have your pool together, you will fill it with water. Depending on your location, you may want to look into delivery options or inquire with your water department regarding costs. We were lucky enough that filling our 16’ x 48” pool only cost about an extra $40 the month it was filled. However, I have heard people spend hundreds to fill their pools. As soon as you start setting up your pool, you will start seeing bugs and leaves trying to invade it. I highly recommend using your pool cover to prevent this invasion! Without a cover, I guarantee you will be skimming the pool several times a day. Look into purchasing a solar pool cover. We found the cover that came in our package was extremely difficult to get on the pool without being in the pool. How does one do that? The solar cover will not warm the water as much as it helps the water retain the heat already within it. On a cool night, your water temperature will easily drop 4 to 6 degrees. When you first fill your pool, you will want to jump right it. Don’t! It will be freezing cold. Plus, you want to get your chemicals started right away. Use your water test strips to get a baseline. You will likely find that you have to add chlorine and pH increaser. There are several brands on the market. We have been using Clorox pH Up and ph Down. While I would recommend having both chemicals on hand, it is more likely that you will need to increase your pH. To increase your chlorine, use Shock which is essentially a massive dose of chlorine. To maintain your chlorine levels, you may need to shock your pool weekly. However, I also recommend using a chlorine floating dispenser in between shock treatments. I also recommend getting a water thermometer that simply floats in the pool. You can easily check the water temperature which could be very important for little ones. Keep in mind that water always feels colder to the skin so the best temperature is between 78 to 82 degrees Fahrenheit. 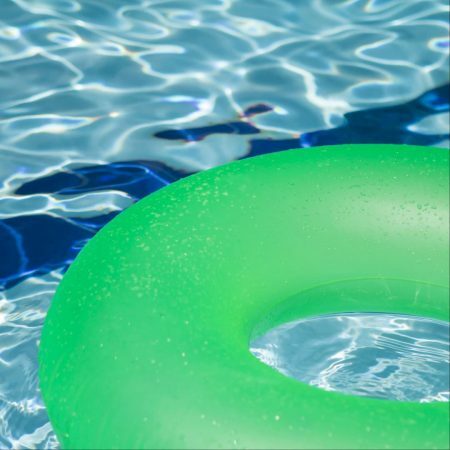 There are other expenses that may arise from owning a pool. You may want to budget in extra swimwear and beach towels for the family. If you are swimming daily, you may be washing daily. Don’t forget the pool noodles, goggles, and rafts you may need. Any family can easily afford and maintain a pool. Above-ground swimming pool ownership can be extremely rewarding as long as you know what to expect. The benefits have certainly outweighed the minor expenses we’ve had along the way. Please let me know if you have any questions.